A Shared Lifetime Deserves an Enchanted Beginning! So, you’ve decided on having a destination wedding and most of your family and friends are on board. Now comes the fun part – where are you going to go? 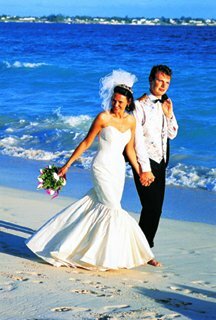 VIP Travel can help you plan your dream destination wedding. We can make excellent recommendations for selecting destinations for your wedding or honeymoon, including all the travel arrangements for you and your guests. All you need to worry about is getting to the beach on-time!